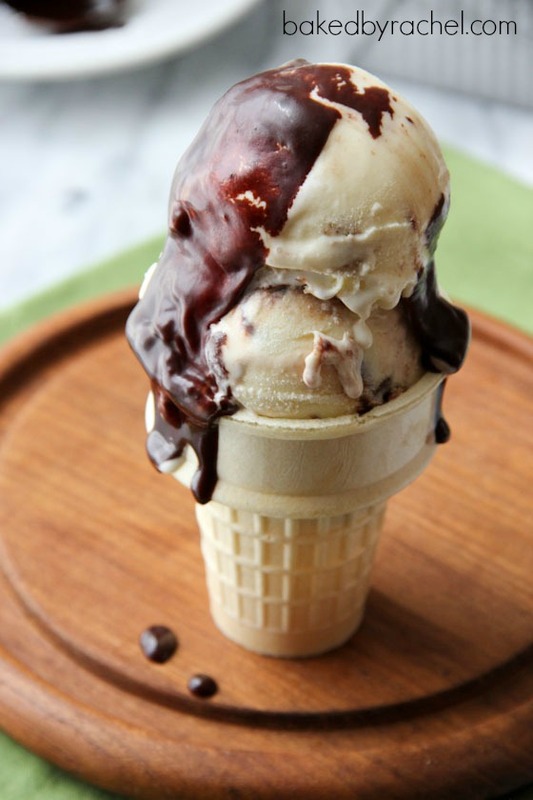 A creamy homemade s’more ice cream reminiscent of your favorite campfire treat, featuring swirls of rich chocolate fudge sauce, marshmallow fluff and chunks of graham crackers. The first official day of summer vacation has come and gone. And surprise surprise… it rained! And it’s going to rain again today. What a downer. It really stinks to kick off summer break without spending any time playing in the sun. I want to start singing like Annie, not that it’ll help any but at least it’d be fun. But you know what I can’t stand even more than a rainy summer vacation? Crumbs on the couch. This is easily 100x worse when you have kids but surely everyone has experienced this whether you have kids or not. You sit down and get all cozy to only be annoyed but a crumb here. No, not just a single crumb because that would be absolutely bizarre. Why can’t kids manage to not make a mess? Or is it some kind of kid pact to make the biggest mess possible to see how long it takes for the parental units to crack? Crumbs won’t do it! They’ll annoy me, but they won’t make me snap. I teased this ice cream to you the other day. Just barely a tease really. But I hope you anticipated something insanely delicious because this ice cream right here… it’s insanely delicious. Like crawl across the desert to have a single spoonful delicious. Everything you want from a traditional s’more in a bowl of ice cream. Oh it’s heavenly. 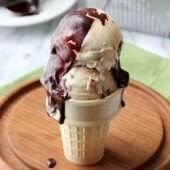 Creamy vanilla ice cream with swirls of homemade chocolate fudge sauce, swirls of sweet marshmallow fluff and chunks of graham cracks… in every. single. bite. So amazingly good. 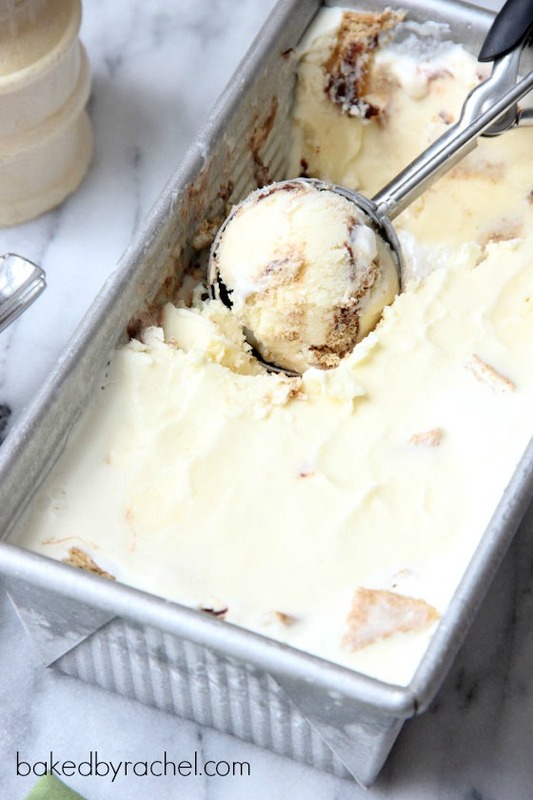 A creamy homemade s'more ice cream reminiscent of your favorite campfire treat, featuring swirls of rich chocolate fudge sauce, marshmallow fluff and chunks of graham crackers. Place 1 cup heavy cream in a medium bowl, set aside. In a medium saucepan over medium-low heat, cook remaining 1 cup heavy cream with milk, sugar, salt and vanilla. Stir to dissolve sugar. Cook over until steaming. In a small bowl, whisk egg yolks. While whisking constantly, slowly drizzle a third of the hot liquid into egg yolks. Pour egg mixture into saucepan. Stir with a rubber spatula or wooden spoon until mixture coats the back. Pour through a mesh strainer into the remaining 1 cup of heavy cream. Stir over an ice bath to cool liquid. Cover and chill overnight. Churn ice cream according to manufacturer's directions. Meanwhile, in separate bowls or measuring cups, warm 1/2C hot fudge sauce and 1 cup marshmallow fluff. Coat the bottom of a freezer safe container with churned ice cream. 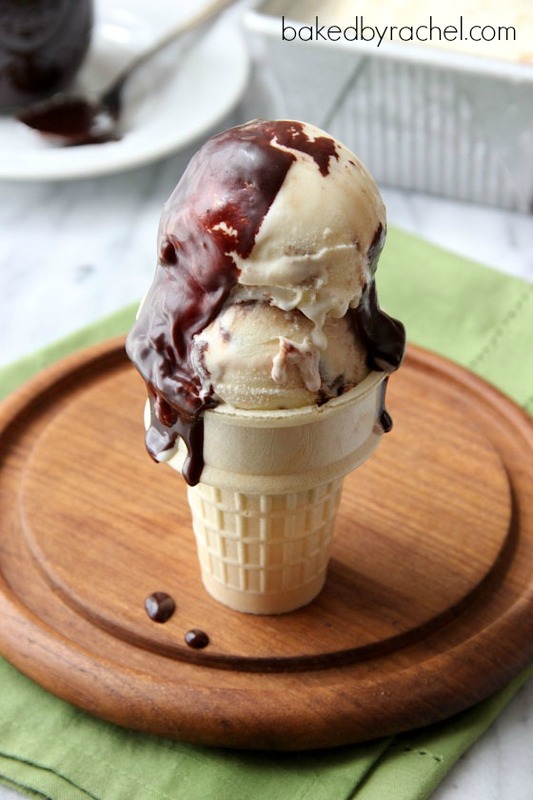 Drizzle with room temperature hot fudge sauce, fluff and graham cracker pieces. Repeat layers several times, finishing with a layer of ice cream. Do not stir. Cover and freeze until solid. Serve with additional hot fudge sauce.